Quito, Ecuador: Put this in your mouth and love it! The moment my plane ticket for Quito, Ecuador was purchase the first thing I thought of what the great food that I would get. Wonderful things to put in your mouth! 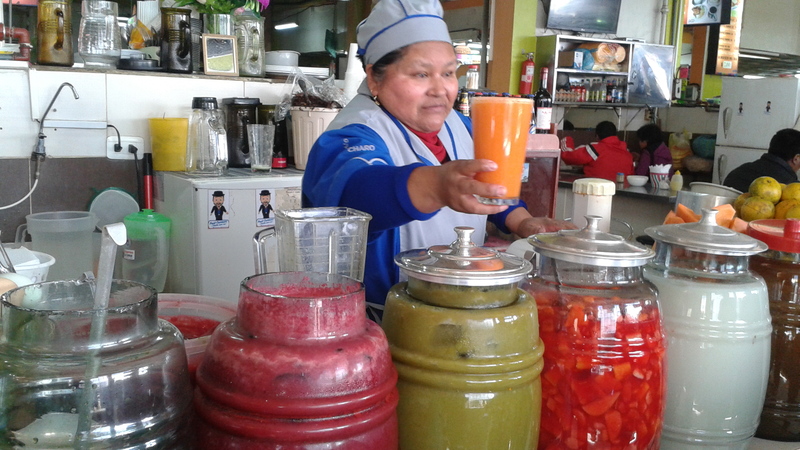 In morning I went to a central market and got fresh juice, Jugo natural. I decided on the carrot juice. Look at all these wonderful fresh made juice. 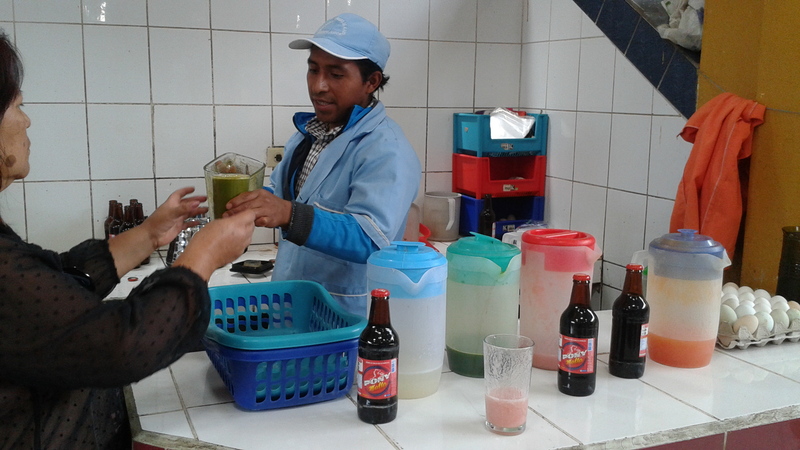 I had to ask for “sin azucar” – without sugar – because the vendor will add it without asking. Price for a glass of fresh juice at this location? 50 cents. Some tourist don’t like when vendor get on the buses to sell food and drinks so I look forward to it. 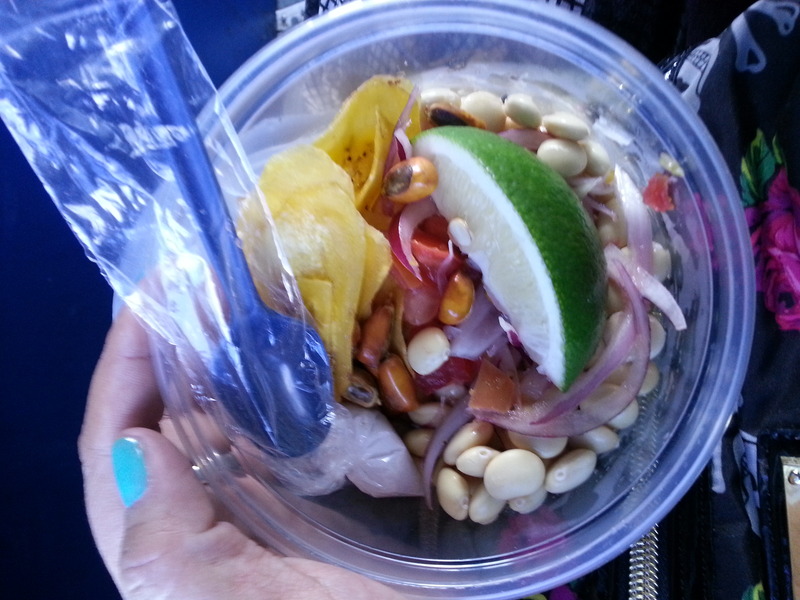 This is called “chochos con toastados” It roasted corn, bean, red onion, fried banana, a wedge of limo and small bag of salt. This is a snack size and only 50 cents. I even got juice at this market that my aunt works at. 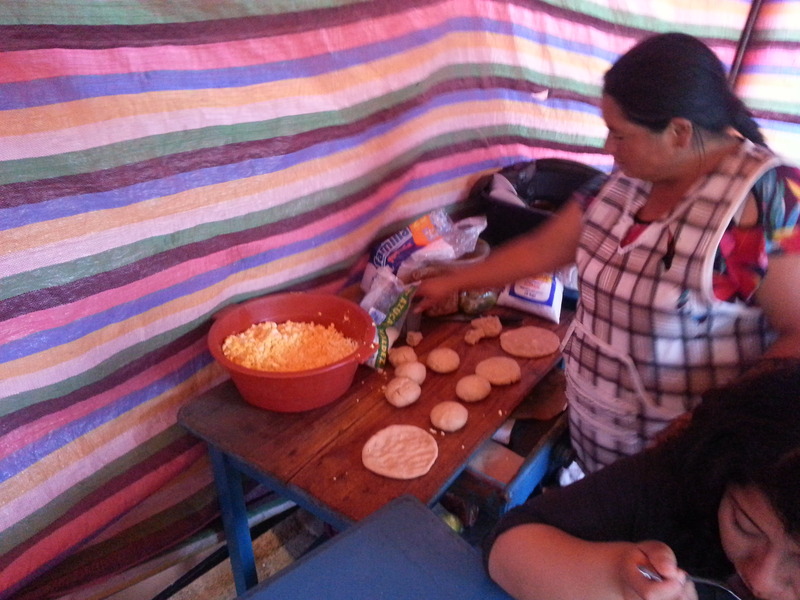 A vendor making torta de tiesto. Ahhh!! I would so love to go to Quito someday! All that food looks delicious, and yay for fresh juice!! What were the other options other than carrot? :O! You should come visit! This cost of staying here is low and it so amazing. Nothing like a real juice for breakfast.